The company alleges Facebook destroyed its business when it changed its data use policies in 2015 to restrict third-parties from accessing data of their users’ friends. Six4Three reportedly alleges that the documents seized by Parliament include communications from Zuckerberg, along with evidence that Facebook knowingly created and promoted the privacy loophole that was eventually used by Cambridge Analytica. Through its lawsuit, Six4Three has made numerous other explosive allegations against Facebook, including the claim that Facebook accessed and monitored the microphones of some Android users without their permission; that Facebook monitors the photo albums of iPhone users without explicit permission; and that Facebook remotely turned on users’ Bluetooth without their permission to gain access to their location. In his letter, Facebook public policy chief Richard Allen denied Six4Three’s allegations and asked Parliament to refrain from using the documents in a hearing Tuesday that Facebook is slated to appear at. “The court that sealed the documents is due to consider these latest developments as early as tomorrow. It will be helpful for all of us to see Six4Three’s explanation and any directions given by the judge in this case as we consider their legal status,” Allen wrote. 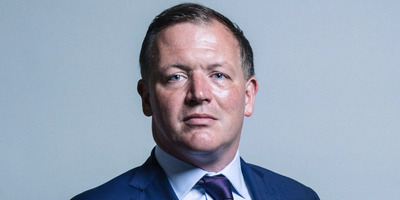 3.0 Unported (CC BY 3.0) licence from UK ParliamentBritish MP Damian Collins reportedly led the effort to seize the documents. After Collins’ initial request, a Parliamentary officer was reportedly sent to Kramer’s hotel, where he was given a two-hour deadline. After failing to meet the deadline, Collins was reportedly escorted to Parliament where he was warned that not surrendering the documents could result in fines or imprisonment. The document seizure comes ahead of an “international grand committee” set for Tuesday that will address fake news, disinformation, and election interference, which Allen is scheduled to appear at.